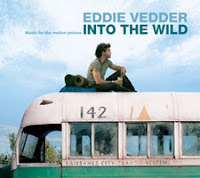 I'm still waiting for the Into the Wild soundtrack album that was released Tuesday. According to an email I received last week, the Ten Club mailed the package either on the 14th, the 15th, or the 17th - depending on how the Pearl Jam fan club keeps business hours. All I'm saying is that if the Immagine in Cornice DVD arrives first, I'm going to definitely write an email or two to the fan club. That is some half-assed assertiveness, isn't it?